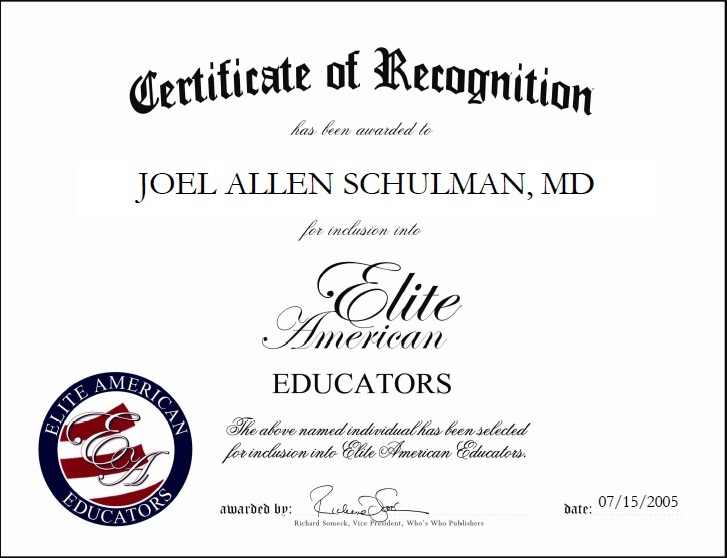 February 26, 2015, Shreveport, LA, Joel Allen Schulman, MD, Associate Professor of Ophthalmology for the LSU Health Sciences Center, has been recognized by Elite American Educators for dedication, achievements and leadership in clinical training and education. Dr. Schulman always knew that he wanted to be a doctor, although there were very few in his family. It was a good match for his interests and skills. He enjoys the patient contact, and he’s always been concerned that people, no matter what their background in life may be, should have access to excellent medical care. Since pursuing a career in medicine, Dr. Schulman has been able to nurture an ever-growing skill set in clinical training and education, and he is presently responsible for clinically training students, lecturing and publishing researched data. Dr. Schulman directs third-year medical students through their rotation in ophthalmology and also volunteers as an ophthalmologist in the community. For a number of years, he has been conducting a clinical study relating to ocular complications in patients with hepatitis C. He also regularly contributes to national collaborative clinical studies. Dr. Schulman is the co-author of three books, five book chapters, and nearly 60 journal articles and abstracts. He serves as a reviewer for three professional publications: Current Eye Research, the American Journal of Opthalmology, and Investigative Opthalmology & Visual Science. Between 1978 and 2005, Dr. Schulman made dozens of presentations at medical conferences. 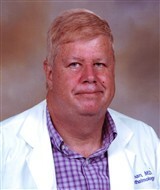 He has been a member of the admissions committee at Louisiana State University’s Health Sciences Center since 2006, and has served on a number of other committees as well. Moreover, he is a recipient of the prestigious Honor Award as granted by The Vitreous Society. Dr. Schulman is happily married and the proud father of two children. This entry was posted in Clinical Training and tagged medicine. Bookmark the permalink.